Buy Drake Off Road Fire Extinguisher Mount with 3" Diameter Fire Extinguisher Clamp Kit and Save $13.99! NHRA Approved, the Drake Fire Extinguisher Mount is machined from 6061-T6 billet aluminum and features a black anodized finish and laser etched logo. Universal fitment with an easy release pull pin. Multiple mounting options accomdated flat surfaces and roll bars. Fits various sizes of automobile fire extinguishers. Optional T-Bolt Style Band Clamp Kits feature steel construction and a custom fit. 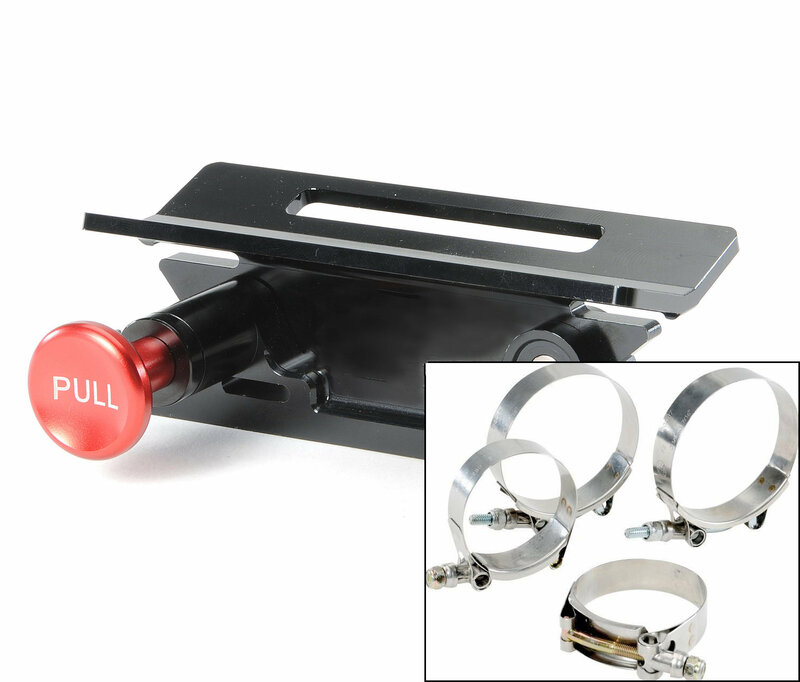 Band clamp kits include the 2 necessary clamps for the extinguisher and two additional clamps for roll-bar mounting. Accessory Clamp Kit for use with the Drake Offroad Fire Extinguisher Mount and H3R 2.5lb Fire Extinguishers. 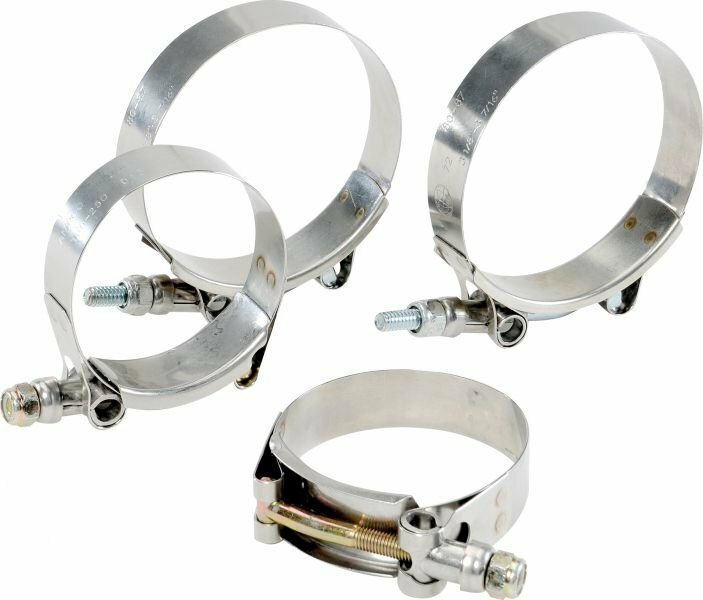 Kit includes Two clamps for roll bar to bracket attachment and Two clamps for mounting your extinguisher to the Mount.